Tiger Woods started out his 2013 PGA Tour season with a victory and here is a look at the tools he used to do it. Always love the WITB. I find in interesting that he isn’t gaming the new Covert Driver or woods. That was 3 1/2 days of some rocks solid play this week. Tiger looks to be in control of his game and was hitting some gorgeous iron shots. I think he got slow played to death on Monday or he wins by 6 or 7 shots. Either way, great peformance by TW. I wonder if we’ll see the covert in tiger’s bag this year? Thanks for the WITB JB, I am like the others, wondering about TW and the Covert. Will it happen? Tiger still gaming the SQ II 5W. Seems like he was hitting it a ton this past weekend, too. It’s nice to see Tiger playing well again. He looked more comfortable than he has in a long time and seemed to have much better control of his wedges. TP is a great place to get his 75th! Sure would be nice if Nike still made/sold it for Joe/Jane Golfer. Great start to the year for Tiger. He played super impressive for over 3 and a half rounds and looks set for a big season. Interesting to read when he has recorded an early victory in the season it points to him winning a major. Could 2013 be the year he gets to major number 15? He has not put the Covert into play, and I highly doubt he will, ever… club technology for the pros, esp. drivers, has been maxed out for several years due to the COR maximum put in place by the USGA. 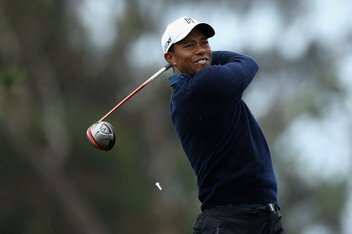 The VR Tour is workable, classical, and simple… the last thing Tiger wants to do is adopt a new piece of equipment that he doesn’t need. That SQII 5 wood is a storied classic and is regarded amoung pros as one of the best fairways ever made. To this day you will find several top pros (many non-Nike staffers) using it during tournament play. I will bet anyone here that TW will play a glued driver and three iron until his retirement… no hybrid, no flexi-loft 157 combinations.